"There will be in my Community a dissent and a faction, a people with excellent words and vile deeds. They will read Qur'an, but their faith does not go past their throats. They will pass through religion the way an arrow passes through its quarry. They will no more come back to the religion than the arrow will come back to its original course. They are the worst of human beings and the worst of all creation. The one who kills them or is killed by them is blessed. They summon to the book of Allah but they have nothing to do with it. Whoever kills them is closer to Allah than they. Their sign is that they shave (their heads)." - Hadith used to refute Islamic extremism. On November 20, 1979, shots rang out in the courtyard of the Grand Mosque in Mecca, the holiest shrine in Islam, just as 50,000 worshippers were completing the final prayers celebrating the dawn of the new Moslem century. A roar of "Alahu Ahkbar," God is great, rose from the crowd as a bedouin preacher seized the mike from the Grand Imam and ordered his men to sniper nests in the minarets. Two weeks later, after a military siege and assault using nerve gas and artillery, the militants were all either dead or awaiting beheading. Within two months, a couple of US embassies had been stormed and torched. 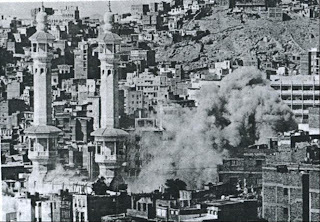 Mecca's Burning is a multipart post concerning the genesis of the siege, the siege itself and its continuing aftermath. To understand what happened and its implications, one cannot find a better source than Yarislov Trofimov. Yaroslav Trofimov is an award-winning author and journalist. He has been a foreign correspondent for The Wall Street Journal since 1999, covering the Middle East, Africa and, recently South and Southeast Asia. He shared in the Overseas Press Club award for foreign reporting on India, and won the SAJA Daniel Pearl award for the outstanding story on South Asia, among other honors. 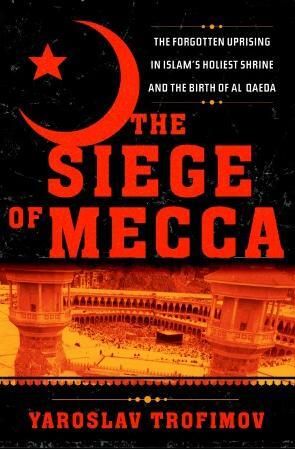 In 1987, Random House published Yarslov's account entitled "The Siege of Mecca." It was named a best book of the year by the Washington Post Book World. Below are some excerpts from the Washington Post Review, A Missing Link in Terror's Chain: In a remarkable feat of reporting, Trofimov, a foreign correspondent for the Wall Street Journal, has pierced that veil of secrecy. He found and interviewed Saudis who wished to stay unknown, persuaded French adventurers to talk, and used the Freedom of Information Act to pry loose U.S. documents, including the diary of the ambassador to Saudi Arabia at the time, John C. West. It is clear throughout Trofimov's brisk narrative that he got a lot of help from Prince Turki al-Faisal, the longtime chief of Saudi intelligence and former ambassador in Washington. 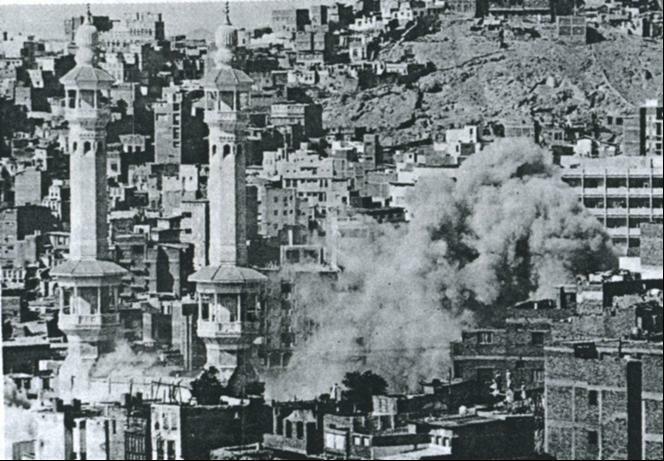 First, the Islamic extremists who seized the mosque on Nov. 20, 1979, and their leader, Juhayman al Uteybi, represented a crucial link in an unbroken chain of radical Islamic violence that runs from the fundamentalist warriors who helped Abdul Aziz ibn Saud take over the Arabian peninsula and create Saudi Arabia early in the 20th century, through the rise of the Muslim Brotherhood, to the group that assassinated Egyptian president Anwar Sadat after he made peace with Israel, to the Taliban in Afghanistan and, finally, to al-Qaeda and today's terrorists. None was an isolated phenomenon; all are part of the same movement. Their tactics differ, but their aspirations are the same: a return to what they imagine as a pure, pre-modern Muslim society as the Prophet Muhammad would have run it, untainted by Western ideas and Western materialism. Second, Uteybi and his surviving companions, who were publicly beheaded after French commandos helped Saudi authorities retake the mosque, may have lost the battle, but they won their war. Saudi rulers, terrified by what Uteybi represented, essentially gave in to his demands that the country's drift toward liberalization be reversed. Women were taken off television, theaters were closed, and huge amounts of cash were disbursed to the country's most xenophobic, reactionary preachers and teachers. Therein lie the roots of the terrorism that arose from Saudi Arabia two decades later and brought down the twin towers of the World Trade Center. "At the time," Trofimov explains, "such an embrace of the Wahhabi orthodoxy seemed like a wise survival policy for the House of Saud. It was only after decades of this indoctrination produced a new generation of al Qaeda radicals that some senior princes realized the extent of the folly." As for the errors of the United States, Trofimov is equally blunt. Policymakers in Washington completely misunderstood what Juhayman represented -- he was a home-grown Sunni Muslim, but they thought he was a Shiite agent of Iran's Ayatollah Khomeini -- and drew the wrong conclusions. Trofimov is especially critical of Zbigniew Brzezinski, President Carter's national security adviser, who envisioned the rise of violence-prone Muslim zealotry as a tool that could be useful in combatting Soviet communism rather than as a threat to the West. Fareed Zakaria: If you go to Saudi Arabia as I have, you discover that the most important man in the Saudi sort of political discourse is a man called Juhayman al Uteybi. Who is he? 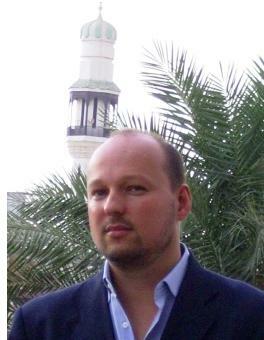 Yaroslav Trofimov: Juhayman al Uteybi was a Saudi Bedouin. He was a Saudi Corporal in the Saudi National Guard and in 1979 he led several hundred gunmen from all over the world—Saudis, Egyptians, and even a few African-American Islamic converts—into the Grand Mosque to seize this holiest shrine of Islam. And really, he tried to start a world-wide Islamic revolution to spark his apocalyptic clash with the world—with the West and with the Infidels. Fareed Zakaria: How were they able to get to the Grand Mosque of Mecca? Yaroslav Trofimov: They smuggled weapons and ammunition, some of it in coffins used to bring dead relatives of the worshipers to receive blessings in the sacred site, some with the help of the Bin Laden company, because the company of Osama Bin Laden’s father maintained the structure and built much of it and so they maintained an opening into the basement of the Mosque into which truckloads of ammunition were taken. And at the first dawn of the new Muslim century of the year 1400 of Islam (which was November 20, 1979), they stormed the Mosque with about 100,000 worshipers inside, shut down the gates, posted snipers on the tops of the minarets giving them a field of fire into the entire city of Mecca, and really proclaimed the beginning of this uprising. Fareed Zakaria: And they were able to do this because it was the Hajj season? Was it a time when anyone could go in as a pilgrim? Yaroslav Trofimov: Well at the time there was little control of the gates of the Mosque, so anybody could come in. Nobody was really checking the pilgrims. The Hajj had already ended but this was still a ‘leftover,’ if you will, of the Hajj; the people who could come for the Hajj and who were still staying in the city. So there was still a very large number of worshipers, about 100,000 were there this very special morning, as it was the first dawn prayer of the new century. Fareed Zakaria: So they get on and they take the Mosque. They’ve posted people on the minarets. What are they saying, what are their demands? Yaroslav Trofimov: Well they really opposed the ruling family of Saudi Arabia and the rest of leaders of the Muslim world. They violently objected to any presence of Westerners, be it military or civilians in the lands of Islam. Fareed Zakaria: But at this point, the US had no bases in Saudi Arabia because this was way before the First Gulf War? Yaroslav Trofimov: Sure, but there were thousands and thousands of American oil men, of American security guards, and even the presence of Western embassies in lands of Islam is something that was considered to be prohibited by Islam by Juhayman and his supporters. In his writings that were published secretly in Kuwait a year before the uprising he was saying that the Royal Family has allowed the banner of Christianity to fly next to the banner of the only true faith of their country and that they should expel all these foreigners from their lands. So this was one of the grievances that he had with the Royal Family. And interestingly he believed that one of the fellow gunmen, his brother-in-law, was the Mahdi—the Muslim Messiah who would really bring along this global clash that would result in the coming of Jesus and the redemption and the end of days as we know it. Fareed Zakaria: So he has this kind of Islamic militarism, he organizes this, and he gets to the Mosque. What is he hoping to do at that point? He’s hoping to spark a kind of rebellion throughout the Saudi kingdom? Yaroslav Trofimov: Well here he hoped to spark a rebellion across the Muslim world. Luckily for Saudi Arabia’s government, this was the time before CNN, before Al- Jazeera, before satellite phones or internet, so they managed to keep the information about it very constrained. Saudi Arabia’s first reaction to this was to cutoff all telephone connections between the kingdom and the rest of the world and for 24-hours. Fareed Zakaria: Between the entire world? Yaroslav Trofimov: Yes. All international phone lines were cutoff. The borders were shut. And nobody outside of Saudi Arabia really knew that this tremendous event had happened for almost 24-hours. The news was broken in Washington at a State Department briefing much to the fury of the Saudi authorities. And again, people in Washington at the time were so focused on Iran that the natural conclusion was the Iranians must have done it. And American officials said so and this really led to a sort of ripple effect of tragedies, because Ayatollah Khomeini’s office immediately responded by saying, “no, it’s not us…it’s an American Zionist conspiracy to defy the Holy Shrine.” And Khomeini was believed. Within the hours of him saying this, the American Embassy in Pakistan was stormed. Americans in it were killed, and the building was burned to the ground. American Embassies were attacked throughout the Muslim world from Bangladesh all the way to Libya, and interestingly a young Turkish man by the name of Mehmet Ali Agca escaped from jail and wrote a letter to the Turkish newspaper stating that he will avenge this American Zionist conspiracy by killing the Pope, which he proceeded to try to the next year. Fareed Zakaria: So bring us back to the Mosque now. The Saudi authorities cut the phone lines; what do they then do? Yaroslav Trofimov: They had a big problem. The soldiers who heard the sermon really didn’t know whether it was allowed for them to fight. Many of them refused to turned their weapons against the rebels because in the Islamic scriptures it says that any fighting is prohibited in this Holy Shrine towards Muslims’ monastery prayer of five or three times a day, depending on the sect. So the Saudi Royal Family had to secure a fatwa, a religious ruling from the leading ruler now of Saudi Arabia. King Khalid summoned the leading clerics to his palace in Riyadh and had a very long theological discussion and really the historical bargain was struck at that moment. The ruling clerics, many of whom knew Juhayman and supported him, agreed to the Saudi Royal Family’s demands and endorsed a military attack on the Shrine in order to win the and then to--then to release of Juhayman’s supporters, ones that had been arrested a year earlier. But this was only in exchange for the Royal Family reversing all the modernization that had been happening in the kingdom up until that point. Women announcers were taken off television as a result of this agreement. Laws against alcohol started to be enforced much more thoroughly. And most importantly the religious Wahabi establishment really started to receive millions and millions of dollars in Saudi oil revenues. It started to flow across lands of Islam funding this network of charities, schools, and religious institutions where the new generation of future Al Qaeda groups was really bred. Fareed Zakaria: And correct me if I’m wrong, but the Saudi religious establishment was given control of the Department of Education within Saudi Arabia? Yaroslav Trofimov: Yes, exactly. The powers of the religious establishment started to grow from that period and this was something that was recognized a few years ago by one of the sons of the late King Faisal. The Governor of the Asir Province (from which of the many 9/11 hijackers came from) said after the Mecca situation that we killed Juhayman-the-uprising, but we allowed his ideology to spread throughout the kingdom all while pretending it didn’t exist. He said that the realization only now almost 30 years later of what a tragic error this had been. Fareed Zakaria: So back to the Mosque. The Saudis make this deal with the religious establishment and Aziz bin Baz, the Chief Cleric of Saudi Arabia, issues the fatwa. And then what happens? Yaroslav Trofimov: Well initially they tried to use Saudi forces and they used everything they had…armored personnel carriers, artillery. They didn’t have their own pilots to fly helicopters, so they had to recruit American pilots who were flying reconnaissance missions. They had to combat soldiers above the Mosque and were being fired upon by American converts who were now with the rebels interestingly enough. Fareed Zakaria: But very few Americans right? Fareed Zakaria: Among the rebels? Yaroslav Trofimov: Yes, but there was a number of them. And part of the structure was destroyed. After a week of this fighting the rebels were finally driven underground. The underground was an ancient catacombs labyrinth and it was impossible for armored personnel carriers to enter there, and so a sort of a standoff developed. In the meantime, every hour that was passing with the Mosque outside Saudi control was denting the prestige of Saudi Arabia—denting the prestige of the Saudi government whose chief claim to authority in the Muslim world is that it’s the custodian of the Holy Shrines in Mecca. Fareed Zakaria: And at this point the 100,000 worshipers have been let go? Yaroslav Trofimov: Most of the worshipers were allowed to escape if only because the rebels did not have food or water for them. Many of these worshipers were not Arabs. They didn’t understand the sermons. They were people from India, from Indonesia, from Algeria who just sort of were lost and befuddled by what was going on. But many of the Saudis and other Arabs who were in the crowd were not allowed to leave. Many of them voluntary joined the uprising believing this sermon of the Mahdi of the Messiah and believing and sharing the ideology of the rebels. So once the rebels were on the ground the Saudi government called for foreign help and it called for help from France. France at the time was a very determined Cold War warrior, if you will. The head of French Intelligence was Alexandre deMarenches who was very much upset with the Carter Administration. He called Carter the baby-faced Boy Scout at the time, and was really determined to show that France would help friendly regimes in the Muslim world. And so Prince Turki, the Chief of Saudi Intelligence contacted Alexandre deMarenches and the French sent a small detachment, just three Special Forces troopers, but they came with a plane-load of poison gas. And the plan that the French devised was to pump this poison gas into the underground, flushing out the rebels. And so after training the Saudi forces, after designing the details of this plan, they supervised an operation to perforate the ceiling of this enormous basement of the Grand Mosque, and after two weeks of battle this plan was finally implemented. Some of the people died in the basement. Others were just forced to come to the surface. The chemical they used was very similar to the one that the Russian forces used in the Moscow theatre siege a few years ago when Chechen rebels had taken over their structure. Fareed Zakaria: So they did pump poison gas into the catacombs? Yaroslav Trofimov: The poison gas was pumped into the catacombs and at the end of the two weeks of the siege, the Saudi forces could finally reclaim the structure. Juhayman came out alive, although Mahdi the Messiah was killed during the fighting. The leading rebels were paraded on television and executed in public in January 1980, two months after the siege. Fareed Zakaria: And it was claimed that they confessed to their crimes? Yaroslav Trofimov: Well it was claimed that they confessed but it was never proven that they confessed. Some of them probably have. Juhayman himself was never shown to speak. Saudi television showed the footage of him sitting on his hospital bed but there was a voiceover by an announcer just saying that Juhayman is a horrible sinner for defying the sacristies of Islam. A lot of the other rebels—the ones who were not behead in public—were killed in secret in the following month, so really the only witnesses and the people I tried to track down and interview for the book were the men who were then only 16, 14, or 15 years of age at the time. I have managed to find some of these former militants that have spent 10, 15, or 20 years in prison. Some of them were too scared to talk to me because it’s still such an embarrassing issue in Saudi Arabia. After all, the men who led Saudi Arabia and were present in Mecca—Prince Nayef, the Minister of the Interior, Prince Sultan, the Minister of Defense and the current King Abdullah, today and at the time the head of the National Guard—are all in the same jobs, so it’s really not the past for Saudi Arabia. It’s an embarrassing end result in the biographies of its current leaders. Fareed Zakaria: And the deal that they struck with the religious establishment was the beginning of the export of Saudi fundamentalism? It was the beginning of many of the things that people now look at in Saudi Arabia and are shocked by: the role of women, the religious police that goes around telling people that they’re not wearing enough clothes, or if they’re at a café that they’re having too much fun—all those things date from this period? Yaroslav Trofimov: Well the religious police was going around in this time as well but all these restrictions were being gradually relaxed in the ‘70s and suddenly a reversal occurred in ’79 and things started moving in the opposite direction. And also, with the oil money coming on-tap, this very orthodox Saudi version of Islam started to be spread throughout the world. Interestingly, a few weeks after the siege of Mecca, the Soviet Union invaded Afghanistan and all of the sudden all these Islamic radicals in Saudi Arabia and Egypt who were sympathizers of Juhayman. His supporters became very valuable assets for the US and for the Saudi government. They were hoping to redirect their energies and their hatred from the American government to the Saudi government. They were all shipped to Afghanistan, and the younger Osama Bin Laden, who was deeply influenced by the events in Mecca, was one of the first to go. He later said that his loyalty to the House of Saud came to fracture as a result of seeing as what he described as a defilement of the Shrine in Mecca by the Saudi Royal Family. Fareed Zakaria: But the Saudis state is taking control over the religious establishment? Yaroslav Trofimov: Well the some elements within the Saudi state are slowly trying to take control of this but the power of the ruling man of the religious structure is very diffused and there is only so much the ruling family can do in going against the ruling man because its very legitimacy rests on the support from the religious establishment. Fareed Zakaria: And does the religious establishment threaten that if it is pursued that it will come out against the state? I mean are there some kind of difficult negotiations still going on there? Yaroslav Trofimov: I’m not sure they’re speaking all this in very open and blatant terms, but there is a certain understanding that the support of the religious establishment is crucial to the survival of the Saudi state. And this really constrains the space within which the government can move, and despite all the talk about letting women drive by the Royal Family from the people close to King Abdullah, this hasn’t happened yet. FareedZakaria: Did you get the feeling that Saudi Arabia was a country opening up or a country that was still very much closed down? Yaroslav Trofimov: It was a country that was somewhat more open than it was in the past. I got in twice for pretty long trips to interview people both among the former terrorists and among the soldiers and government officials who were taking part in that operation, in addition to American and French soldiers and lots of other sources. But a great many people were still too scared to speak, so there is still a very persistent fear of shedding light on this embarrassing episode of history, and in general, on revealing the inner-workings of the Saudi state to out. A Sad incident ! In future precautionery measures should be taken to safeguard pilgrims & pilgrimage centres. Yes, it was a tragic incident. Since this was the first time that the sanctity of the mosque had ever been broken, there was very little awareness of the need for any serious security. While there was a small police force at the mosque, it was armed with only sticks and not prepared to deal with a situation such as this.